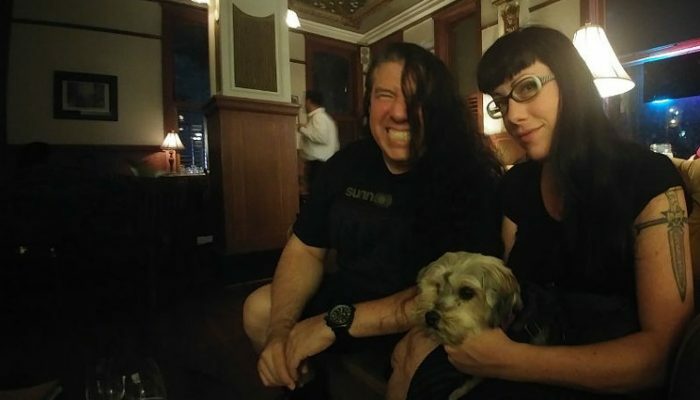 Fiddle Witch and the Demons of Doom is a Houston, Texas based instrumental power trio consisting of Jo Bird (electric viola), SPIKE the Percussionist (drums), and Geoffrey Muller (bass). Their epic musical performances combine elements of classical, metal, and rock with a heavy mix of intricate motifs and a highly entertaining stage show. New track from Fiddle Witch and the Demons of Doom is on the way! The band and Ulrich Wild has sent approval for the mastering and you will be hearing this new composition soon! We think a listening party is in order. Band Recording in Los Angeles with Noted Producer Ulrich Wild. Comprised of Houston, Texas based music veterans who deliver an innovative, melodic blend of classical and metal music, Fiddle Witch will make their Los Angeles LIVE Concert debut on November 11th at The Dragonfly, Hollywood. The band will take The Dragonfly’s stage at 11:30pm. 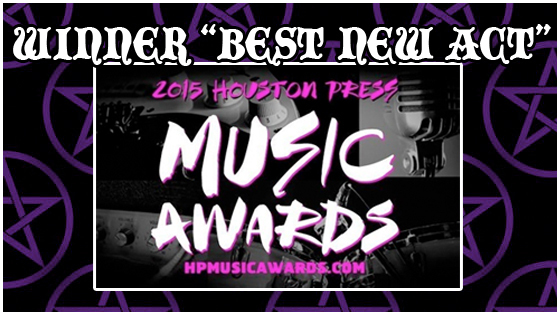 Appealing to the most eclectic headbangers, the band recently received raves and accolades, winning the Houston Press Music Award for the Best New Act of 2015 http://fiddlewitch.com/. They will deliver a mind-blowing 40 minute set on November 11th Showtime is 11:30pm. The group features the talents of Jo Bird, Geoffrey Muller and SPIKE the Percussionist. Jo Bird, one of the founders of Two Star Symphony, conceived the notion of Fiddle Witch in 2012 as a way to further explore her diverse influences. At that time, Bird was referred to SPIKE the Percussionist who shared her classical training and passion for metal and rock. Bassist Geoffrey Muller rounds out the trio. Up next for Fiddle Witch is a recording session for a new single & EP with acclaimed producer Ulrich Wild www.ulrichwild.com and this, their debut LA gig on November 11th at The Dragonfly. You don’t have to choose all categories…just login, click on what you want to vote on and then close the window…Ballot choices are automatically submitted for tabulation as you click on them. 05.23.15 Memorial Day Party in The Woodlands. 05.17.15 In Store performance at Cactus Records. 05.15.15 Fiddle Witch and the Demons of Doom Double CD Release party with Morgue City and guests Giant Kitty. 02.20.15 – The debut self titled album by Fiddle Witch and the Demons of Doom is finished and ready to be replicated! 01.13.15 – Fiddle Witch and the Demons of Doom will be performing on 03.28.15 at the Southern Star Brewing Company’s 7th Anniversary Party. Event info and tickets available at: southernstarbrewing.com. Error: Error validating access token: Session has expired on Tuesday, 09-Apr-19 23:38:43 PDT. The current time is Wednesday, 24-Apr-19 02:59:39 PDT.